The deaths have been labelled a mystery by scientists. Scientists are investigating a second mysterious spate of whale deaths around Scotland. Seven northern bottlenose whales deaths have been recorded since September 29 – three on Shetland, two in Orkney, one at Sandwood Bay in Sutherland and another single animal on South Uist. The Scottish Marine Animal Stranding Scheme (SMASS) say the new wave of fatalities is also a mystery. The vast majority of the washed-up whales have so far been too decayed for necropsies to positively identify how or why they died. 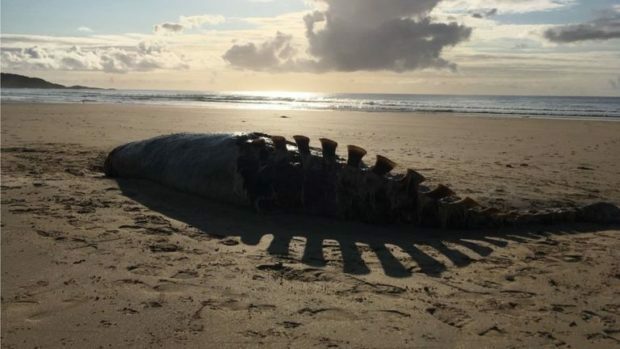 Nick Davison, strandings coordinator at SMASS, said a number of dead northern bottlenose whales had also been found on the east coast of Iceland. “We don’t know if their deaths are related to the whales found in Scotland, if the incident is related to the Cuviers’ deaths or is something completely separate,” he said.